Do you believe in love at first sight? 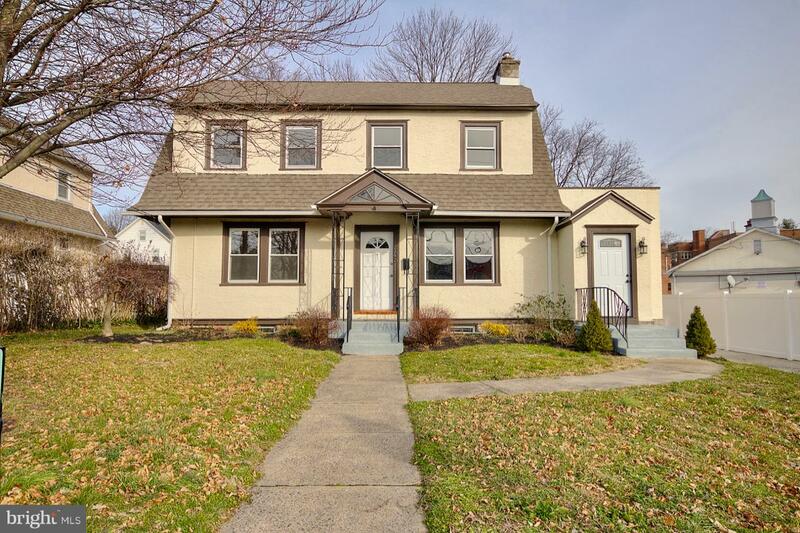 Well you will once you step foot inside this completely renovated home located in the sought after Drexel Hill section of beautiful Delaware County.This stunning home has been completely redone and no expense was spared. Walk in and take notice of the gleaming wood floors that will lead you through the dining area and into the gourmet kitchen with enough counter space to satisfy even the most discerning chef.The family room is spacious and offers an absolutely gorgeous wood burning fireplace. Be sure to take notice of the in-law suite that finishes off the first floor. Complete with private living area,bed and bath along with a bonus room with plumbing which is currently used as an over sized laundry area. The top floor features three large bedrooms and full bath. There is a walk up attic for storage or to possibly create additional living space.The rear yard is set up for entertaining. The large patio is just waiting for you to have that first spring cook out!. For added convenience there is a detached garage and driveway that will accommodate multiple vehicles. This home is NOW priced to sell and absolutely will not last!! !